Larry Schipper, age 70, passed away and went home to be with his Lord on January 7, 2018. Larry loved to travel and was in the 2nd day of a long cruise when he passed away unexpectedly, just off the shore of Los Angeles in the Pacific Ocean. 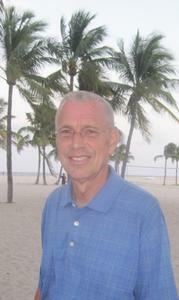 Larry was a successful entrepreneur and real estate developer, from which he formed many lifelong friendships. Larry, generously shared his financial success with several faith-based ministries; Mission India and Bethany Christian Services being two of the ones that were closest to his heart. Although Larry will not be here, the fruit of his giving will live on and continue to impact many people. A wonderful legacy. Larry was also very active in Bible Study Fellowship. Larry was preceded in death by his wife, Jan Maxwell Schipper, his parents Evelyn and Jay Schipper, grandparents and many friends. He is survived by his brother, Jack Schipper and his family, who live in Orlando, Florida. On January 7, 2018, Larry’s greatest wishes and dreams came true because of God’s Amazing Grace. We look forward to joining him one day when we too enter Glory. A Celebration of Life will be held on Saturday January 27th at 11am at Trinity Reformed Church, 712 Apple Avenue. In lieu of flowers, please send donations to either Mission India or Bethany Christian Services. Arrangements are by the Dykstra Funeral Home-Mulder Chapel.